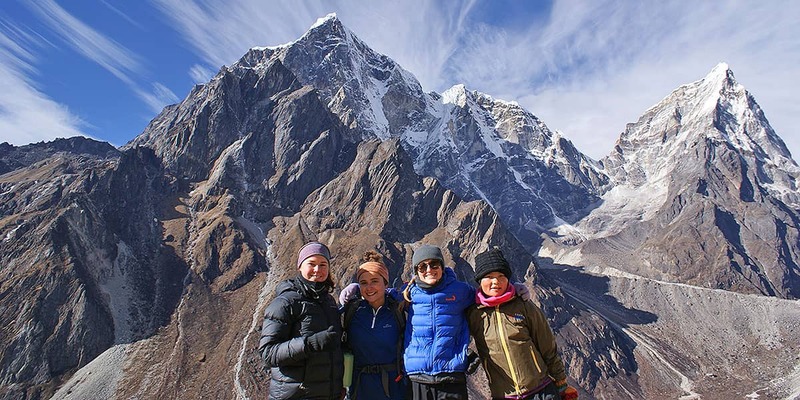 Volunteer in a remote village, see the sites of Kathmandu and trek to the Everest Base Camp. A life changing experience. 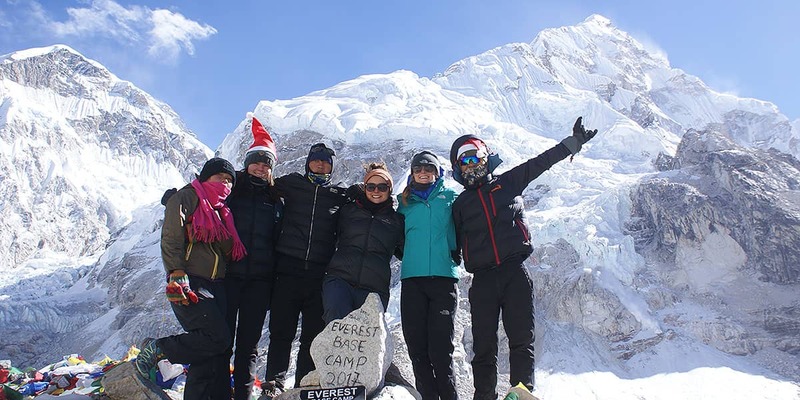 Nepal village volunteering and Mount Everest Base Camp trekking, are beautifully combined in this amazing 21-day package. 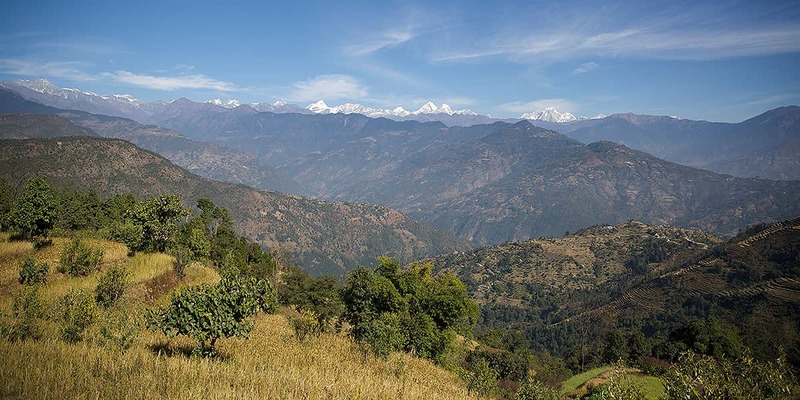 This tour has been designed for those who want to experience, engage and connect with the real Nepal. 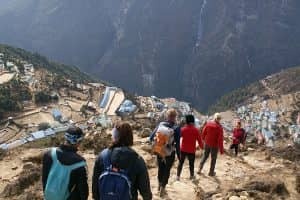 Incorporating the sites of Kathmandu, life in a remote village and the most famous trek in the world, this experience will change your life. Your time in a remote Batase village will be spent living like a local, while volunteering at a local school and assisting with daily chores and work. 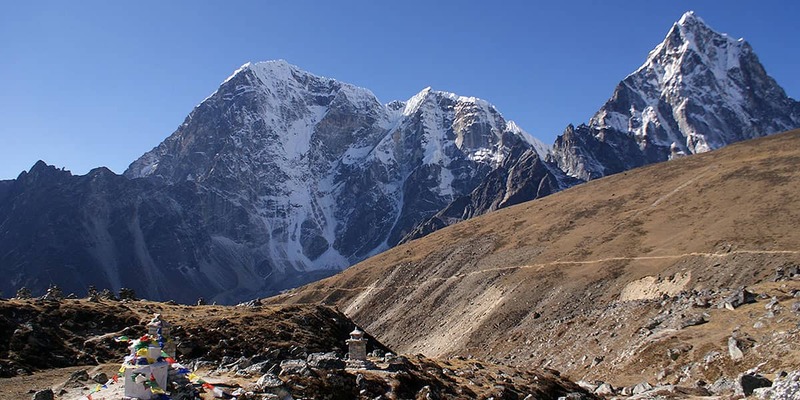 The Everest Base Camp Trek is without a doubt the most famous trek in the world. 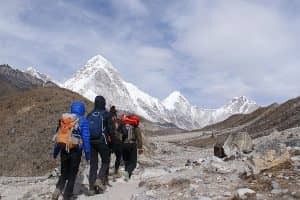 You’ll walk amongst the mighty Himalayan mountains, being captivated by the scenic views and challenged by the terrain and conditions. 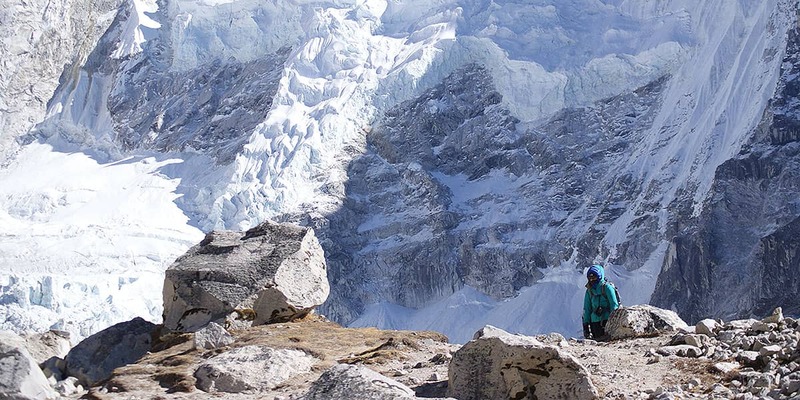 The Everest region will mesmerise you with its natural beauty. 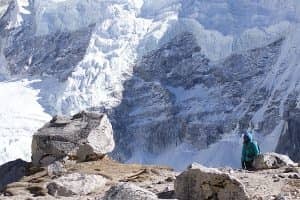 You’ll be in awe of the strength and resilience of the Sherpa people as you see them go about their daily lives. 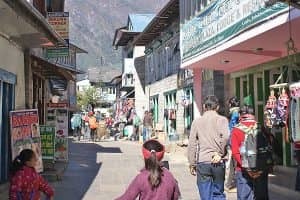 Witness the Himalayan mountain people trade at Namche Bazaar and watch Yaks carry heavy loads up and down the mountainsides — all this with the mighty Mount Everest towering above you! 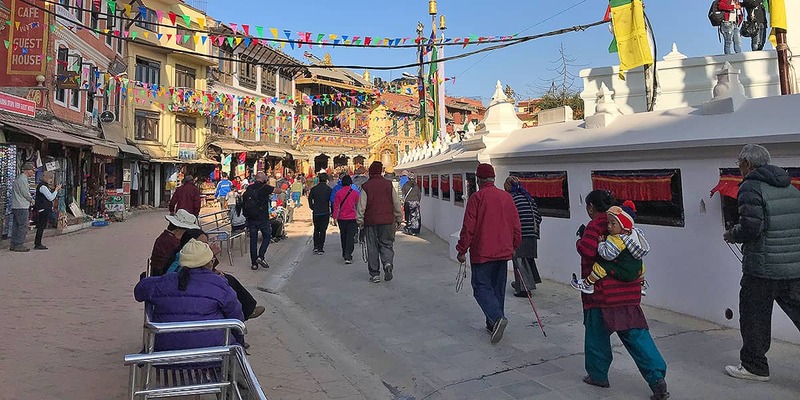 After breakfast, you’ll be guided to the famous Buddhist Swayambunath Temple in Kathmandu. This temple attracts Buddhists and tourists from around the world. The view of Kathmandu valley from the top of the temple is stunning. 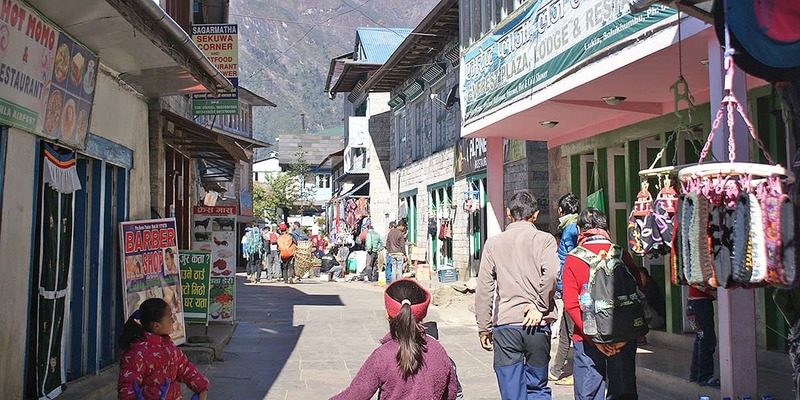 The group will then enjoy a local lunch at a typical Nepali restaurant. The time after lunch is allocated for purchasing items for your time in the village. 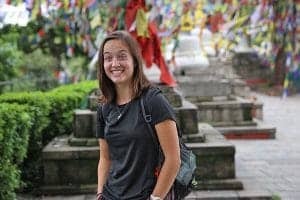 My 5 weeks in Nepal were incredible! Everyday was so memorable and life changing. I felt very welcomed into the community and village life of Batase. Teaching and playing with all the gorgeous, kind kids of the hostel and school was so rewarding. It was such an eye opening experience to learn all their heartbreaking stories. Som, Susan and all the hard working FHC team have created such a safe, happy and family oriented environment, in the hostel, for these kids. Batase has captured my heart and I will be back. 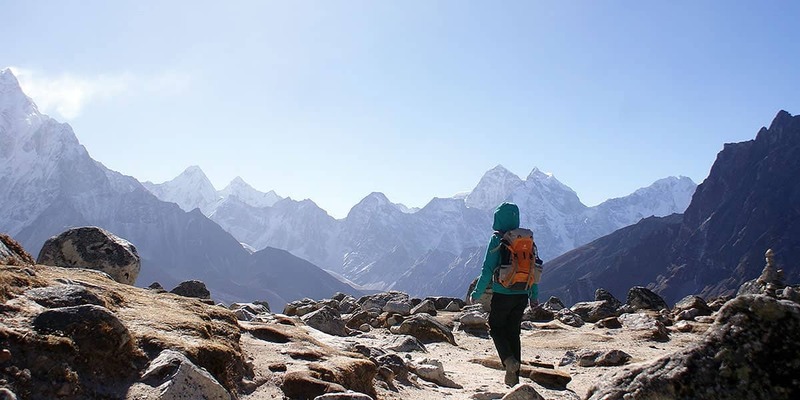 Trekking to Everest Base Camp was both physically and mentally challenging but so worthwhile. Being surrounded by the world’s tallest peaks was such a surreal experience. Our team of Mane, Prem, Bimmaya and and Som were fantastic. 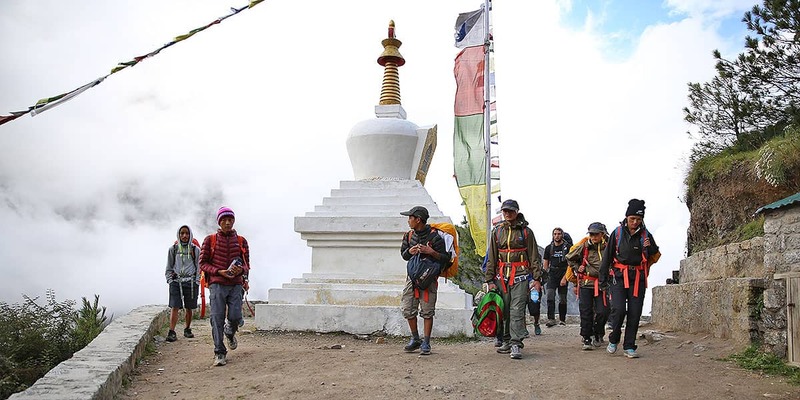 Their constant support, kindness, and positivity ensured our trek was a success. 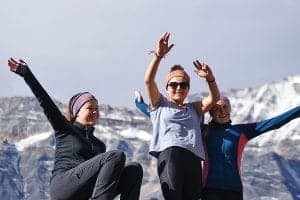 It was so unique and special to be trekking with a company that empowers women through providing training and employment. 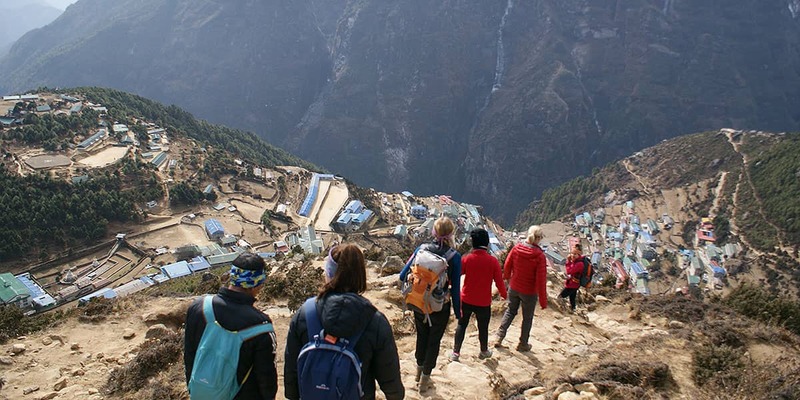 Take on Nepal is making positive changes in the lives of so many people. 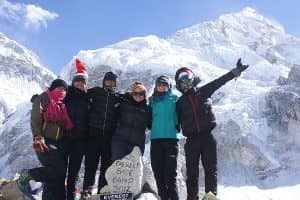 I am so happy I chose them for my Nepal experience! 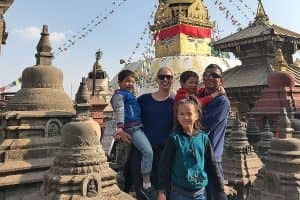 We have always wanted to volunteer overseas and hadn’t thought to do so in Nepal until we came across the Take on Nepal website. From the moment we made contact we knew that this was the absolute right decision to make. 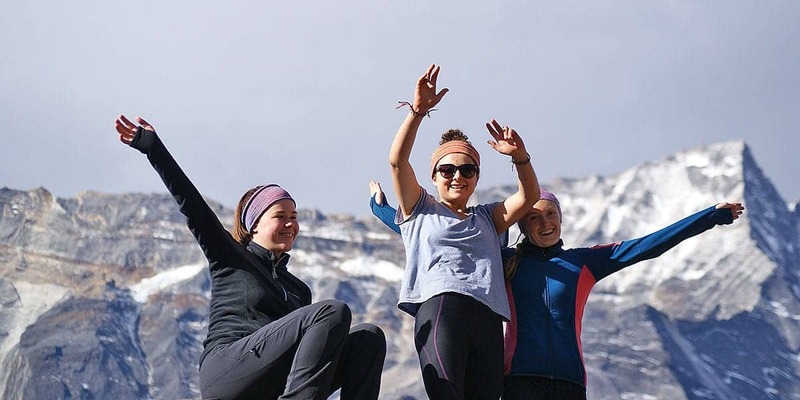 Take on Nepal have been with us every step of the way from the planning stages, to airport pick ups and drop offs and every activity in between. Volunteering in Batase village has been a highlight for each of us. 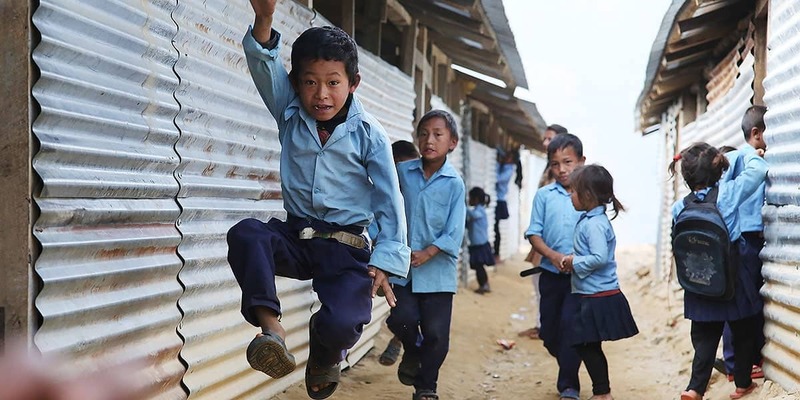 Being able to work so closely with the villagers to provide positive learning and living experiences for the young children, particularly after the devastating 2015 earthquake, has been invaluable. 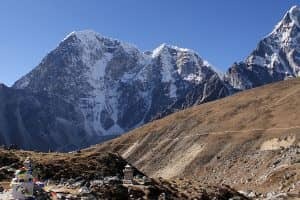 Take on Nepal also gave us an opportunity to hike to Everest Base Camp. 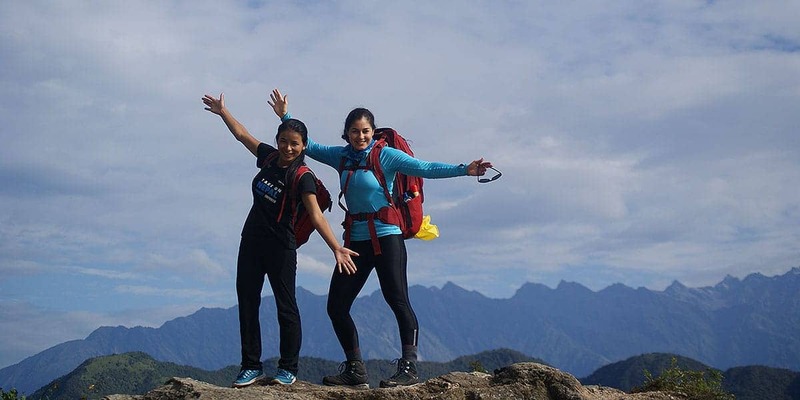 Our trekking guides, Mane and Bir were absolutely incredible, providing us with support throughout the 2 week trek. We cannot fault their continued support, hospitality and flexibility during this time. 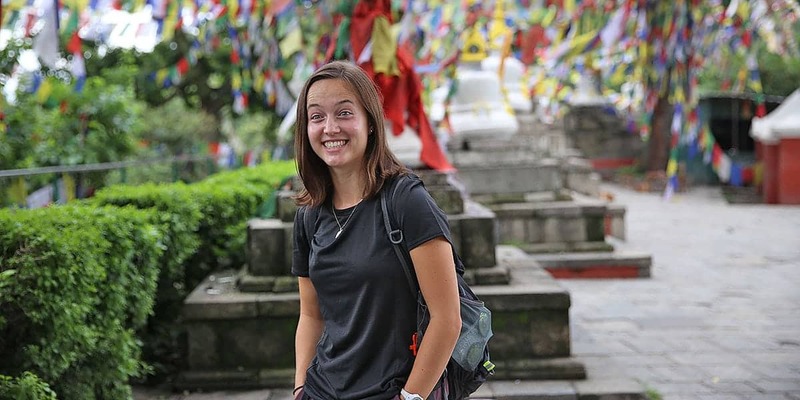 Their willingness to share with us the local culture and language is a testament to the pride they both have for Nepal. They were definitely our Himalayan Heroes. 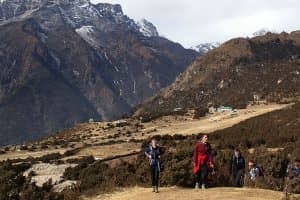 My time in Batase village and on the Mt Everest base camp trek, with Take On Nepal, was honestly the most amazing month of my life! 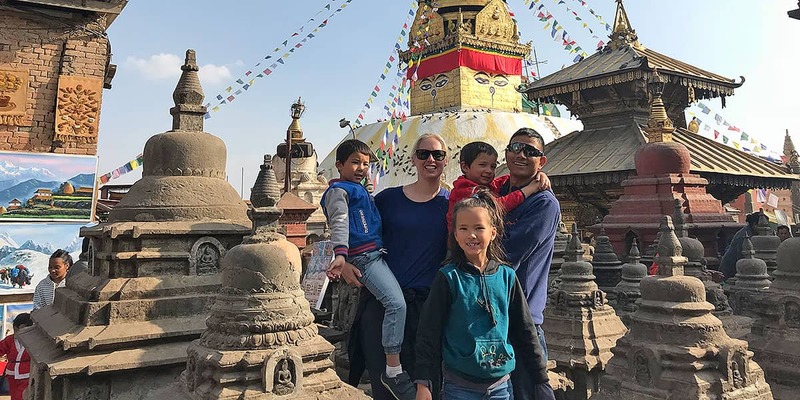 I could not have had a more eye opening or rewarding experience, and without the Take on Nepal Team, the memories that I will forever cherish, would not have been possible. I recommend this amazing company to any person who craves an authentic and real experience. Any person has the power to make a difference such as the simple act of a smile or creating a sense of hope. 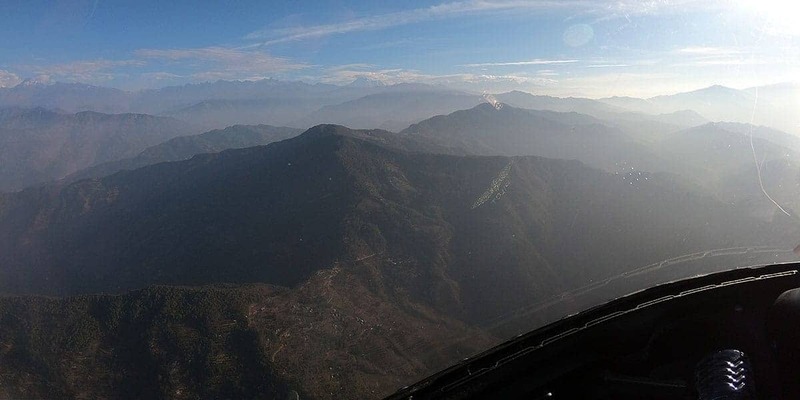 This is possible with education and love as the vector of change, through challenging and broadening perspectives, which is exactly what Take on Nepal strives for. My experience with Take on Nepal was not only humbling but very enriching. It started with a rather long walk (by my account of 27km) to Batase Village with Jitay (my guide) and Anil (my porter and guide in training). Volunteering in Batase was a great way to start my trip. Learning a few basic phrases and understanding the way of life in the village was eye opening to say the least. Everyone I have met along the way were happy and smiling despite the hardship faced every day. I thoroughly enjoyed running with the children from the hostel, despite it being at 5am every morning. 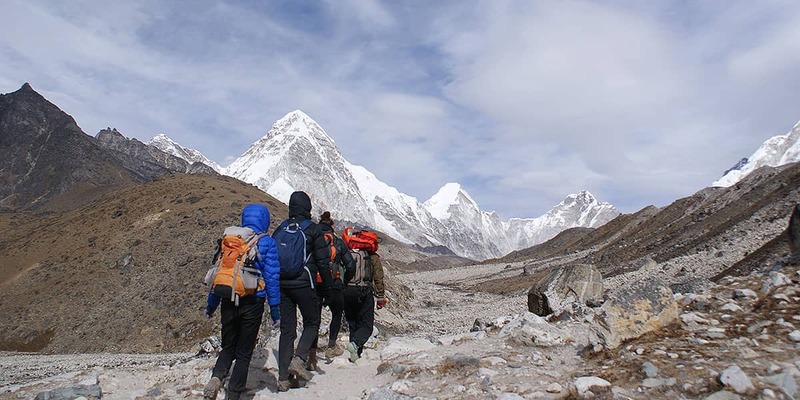 After spending time in the village, it was time to start my trip to Everest Base Camp with Jitay, Phulmaya and Anjana. 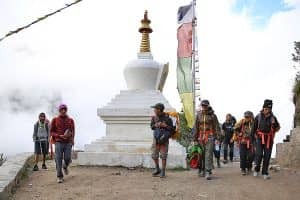 The initial plan was to go with children from the village who were going to compete in the Base Camp Half Marathon but due to cost I was saddened to learn they were going to do another race instead with Anil. Hopefully next year they will compete and I may even be back to join them. 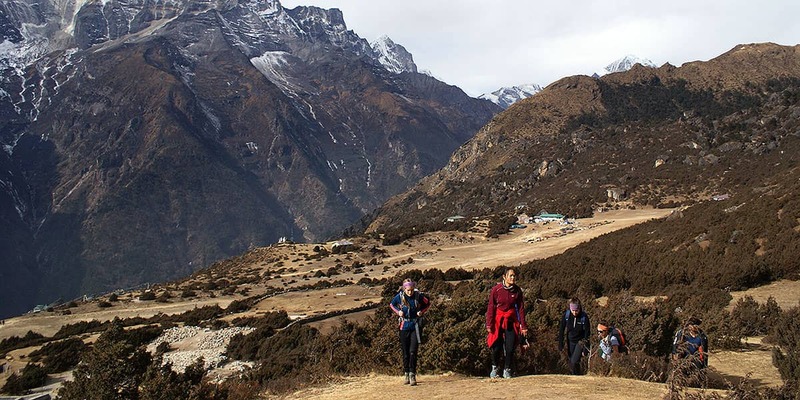 What I did enjoy was the fact that Phulmaya and Anjana were training to be guides and porters for the future. 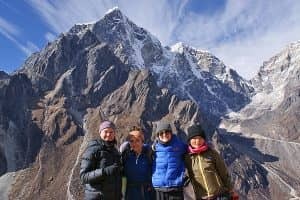 Safely, I have now made it up and back to Lukla via Everest Base Camp and Kala Pattar (which I almost didn’t make it up to) thanks to the girls and the knowledge and positivity of Jitay. 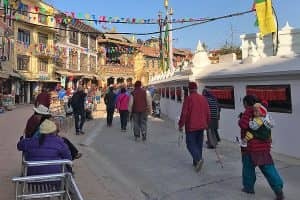 I will definitely be recommending to my friends and family if they come to Nepal to travel with Take on Nepal I have seen first hand where that money is invested back into the community and for the future. When Mitch and I started planning our next overseas trip, we decided it was time for something different. Rather than relaxing on a tropical beach somewhere, we wanted to do something more meaningful and adventurous. 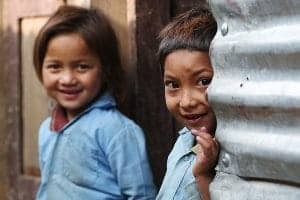 After hours of scrolling through websites of large volunteering organisations, I came across the Take on Nepal website. Once I read Som and Susan’s story, I immediately knew they were a genuine company which was exactly what we were looking for. 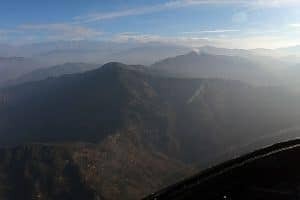 Just over six months later, we found ourselves in the chaos of Kathmandu airport and completely out of our comfort zones! 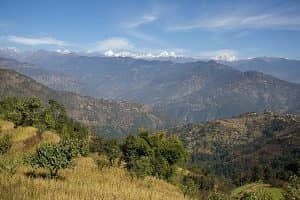 But as soon as we were greeted by our friendly guide, Sandip, we were put at ease and welcomed into the incredible country of Nepal. The experiences we had over the next three weeks are hard to put into words. Our time volunteering at Batase was eye-opening and inspiring. 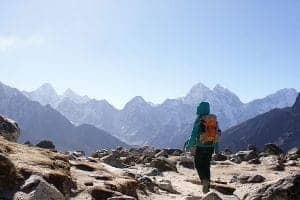 Our trek to Everest Base Camp was physically and mentally challenging, but the laughs and views of the Himalayas made everything worthwhile. 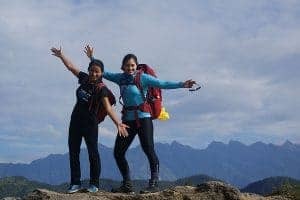 A big thank you to our guides, Sandip and Phulmaya, for everything they did for us throughout the trek. 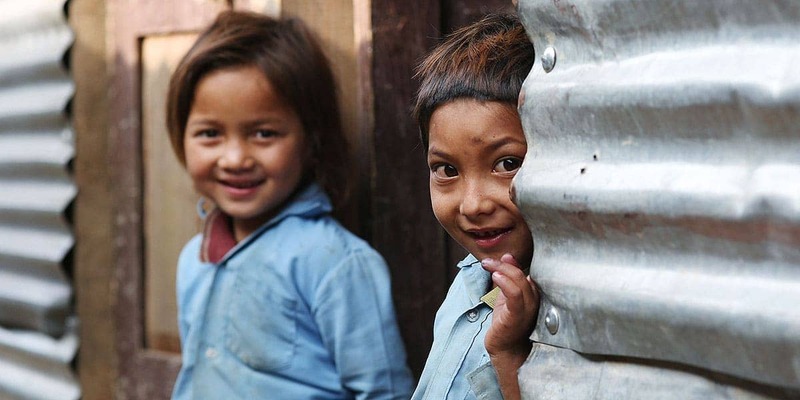 I would encourage anyone who is wanting a break from their day to day lives to book a trip with Take on Nepal. They are a truly incredible company who are making positive changes to the lives of many, and you will get to experience this first hand. We will never forget our time in Nepal and are so grateful to Som and Susan for accommodating us.